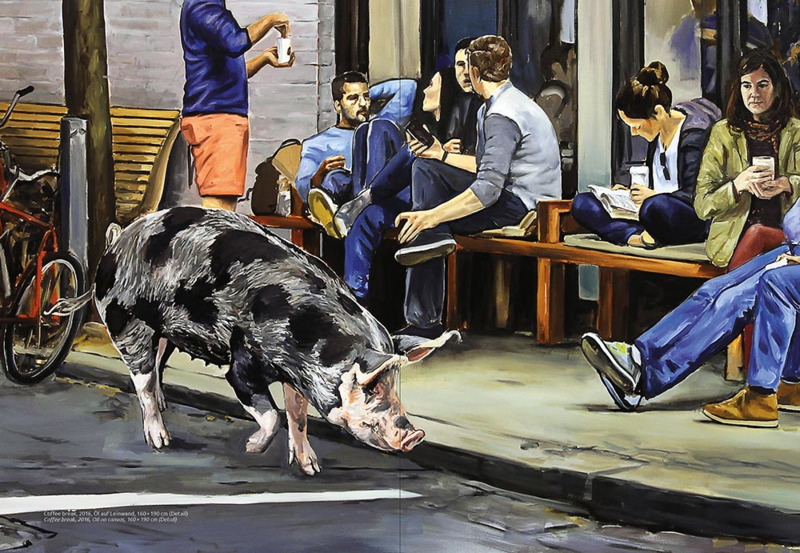 In our society perspectives on non-human animals are mostly shaped by objectification and oppression. 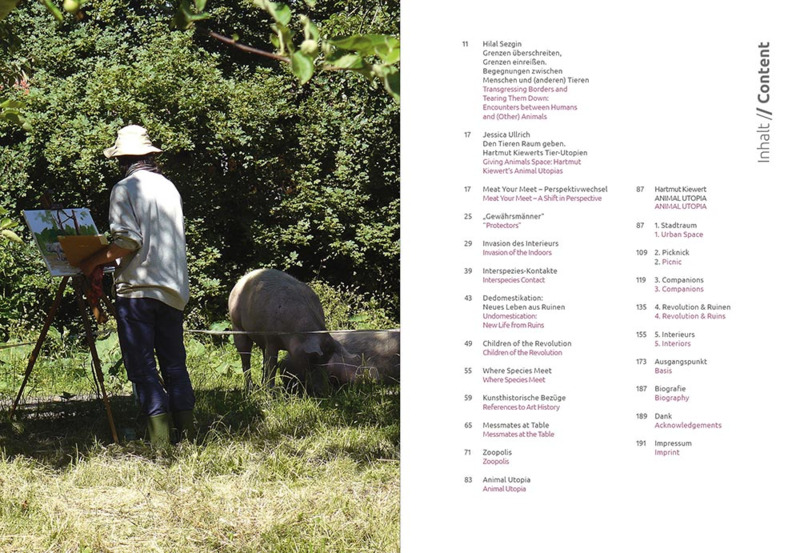 We see them as food on our plates, as numbers in agribusiness, through bars in zoos or microscopes in labs. 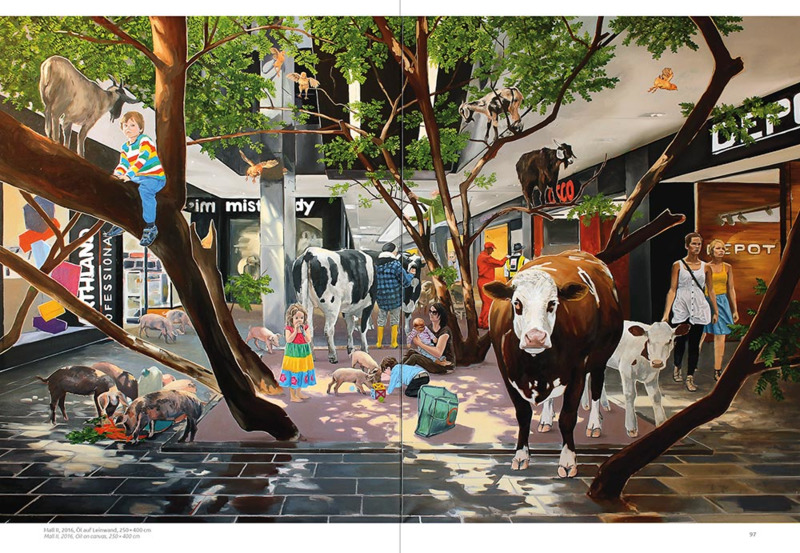 The works of Germany-based artist Hartmut Kiewert juxtapose this view with an entirely different one. 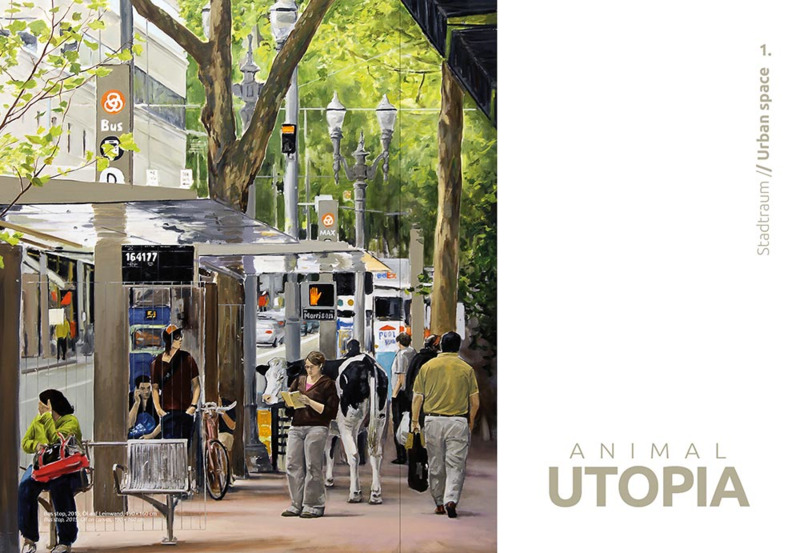 A new perspective that recognizes animals as individuals, displaying forms of coexistence on equal terms and without oppression and violence. 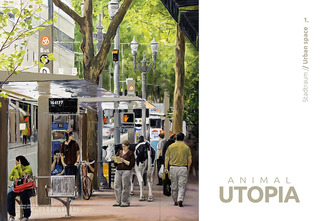 His paintings relativize the solely anthropocentric perspective and enable viewers to encounter these sentient social beings in new empathetic ways. Thereby these utopias can become reality. 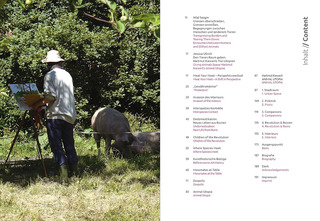 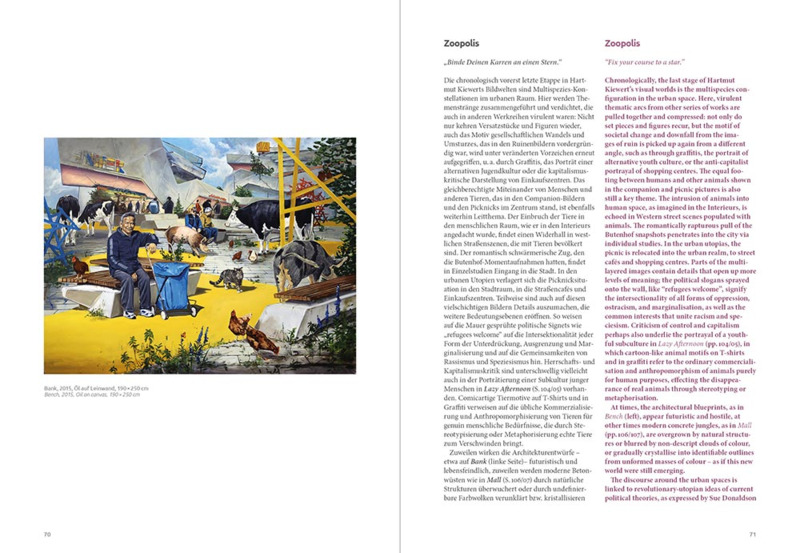 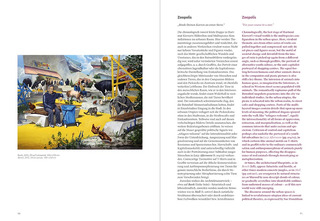 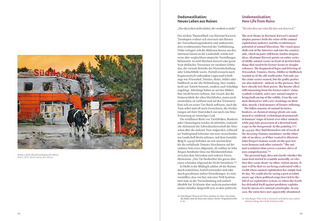 Explanatory notes by philosopher and author Hilal Sezgin and art historian Jessica Ullrich embed his works in both art historical and current ethical discourses and are included in German and English. 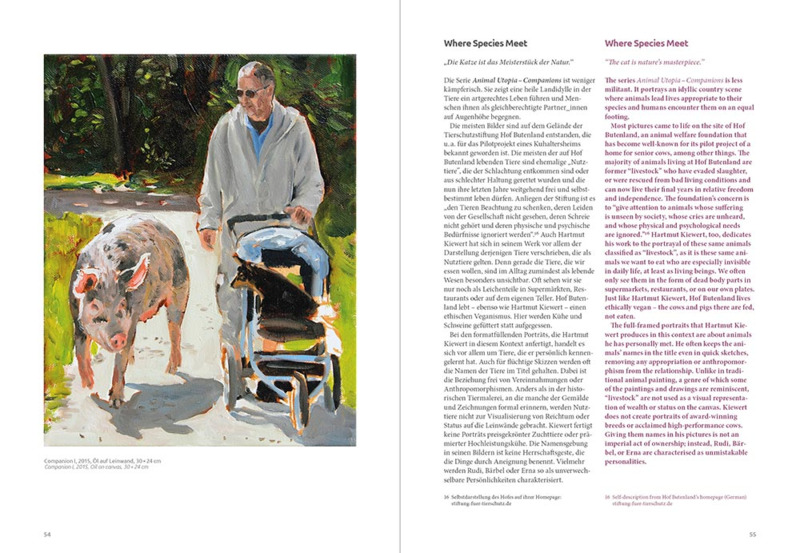 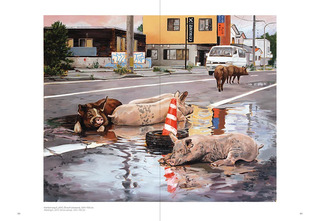 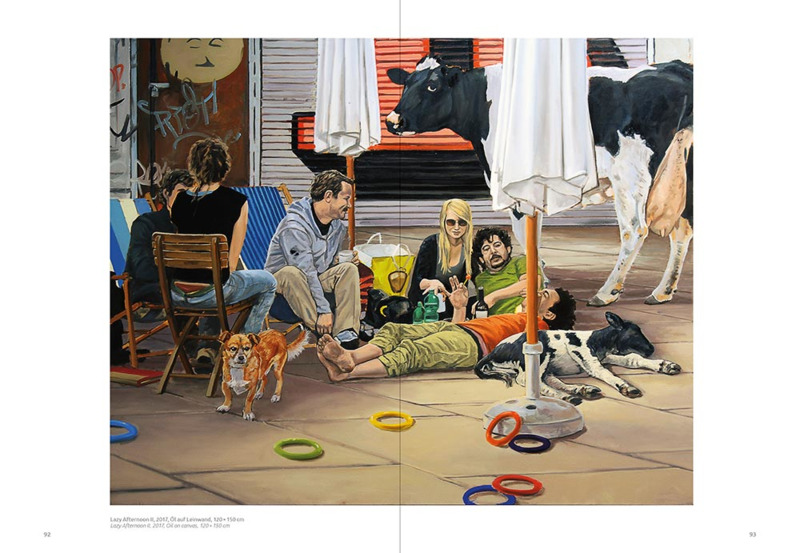 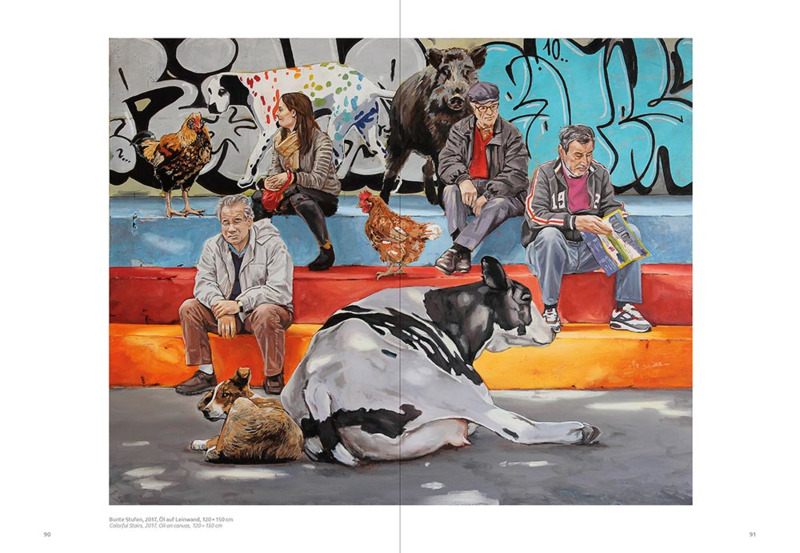 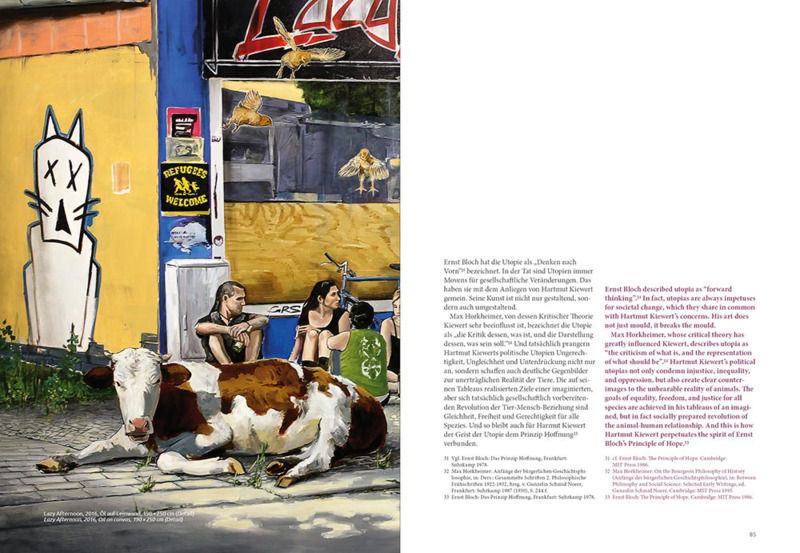 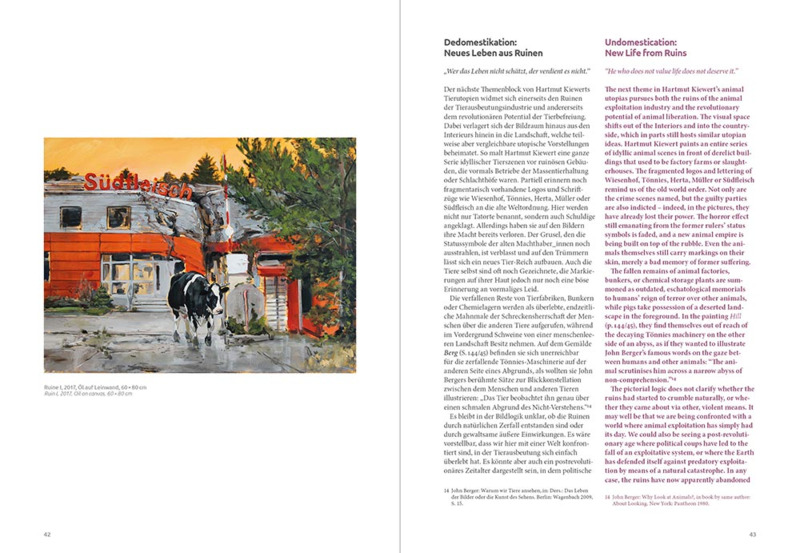 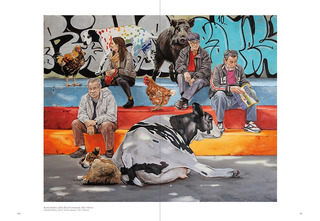 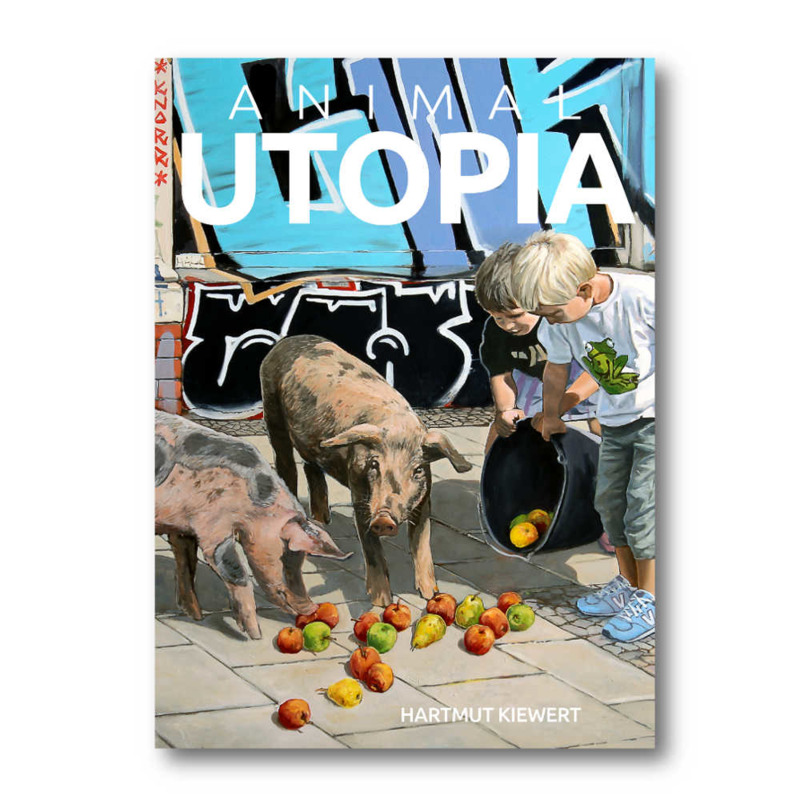 Hartmut Kiewert, a recipient of a grant from the Studienstiftung des deutschen Volkes and distinguished painter and graphic artist, has been focusing on the social relationships between humans and animals for almost ten years. 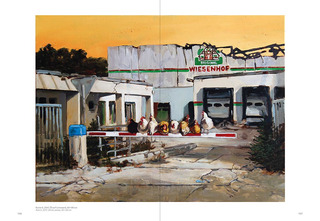 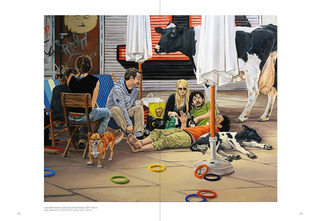 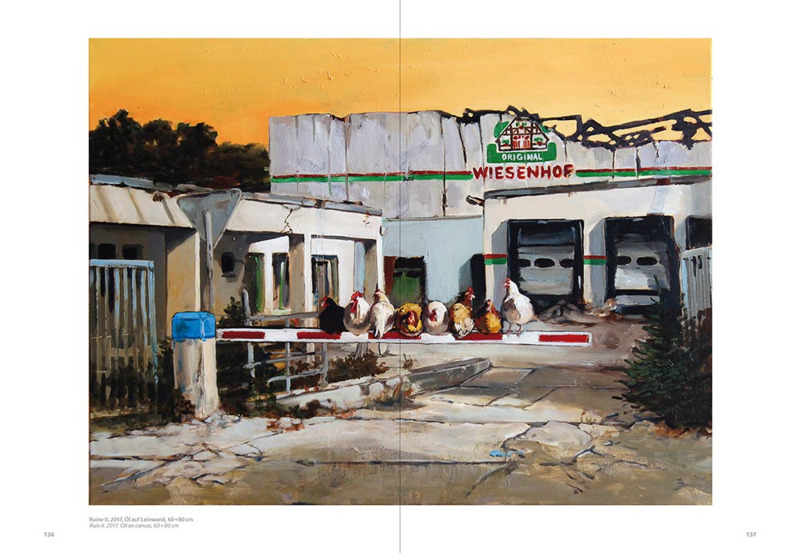 His works have been exhibited in numerous solo and group exhibitions in Berlin, Hamburg, Leipzig and other cities.